One thing I’ve learned about the Danes is they’re adaptable. This is so true for hubby. He went from eating frikadeller and potatoes to eating fiery Thai food without breaking a sweat. He should have been born Thai. Although he never asks for it, I know he wouldn’t mind a dose of the food he grew up on every once in a while. Luckily for him, I actually know how to make traditional Danish foods because I interned at a Danish restaurant in Copenhagen for 6 months. Pickled herring is a Danish staple and the Danes eat it with gusto. It's quite an acquired taste in terms of flavor and texture. The texture is not quite as raw as sushi. It's like ceviche, only more "cooked" because it's stored in the brine. The basic pickled herring is sour and pungent but it comes in several flavors in addition to the basic. The only one I enjoy is the curry flavor. At the restaurant we made our own curry sauce. It was so easy and far superior to the stuff from a jar. Mix all of the ingredients together and let it sit in the fridge for 1-2 hours. Adjust the taste by adding more curry powder or mayonnaise. 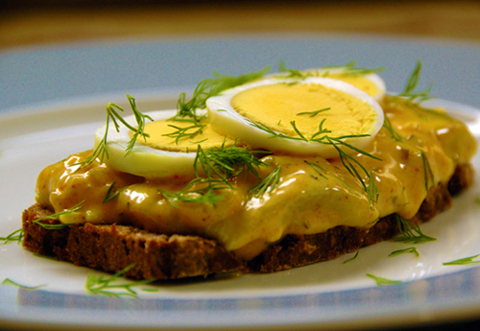 Traditionally, herring is eaten atop Danish-style rye bread, which is dense and loaded with seeds. I wouldn’t recommend the soft rye breads because they will get soggy. 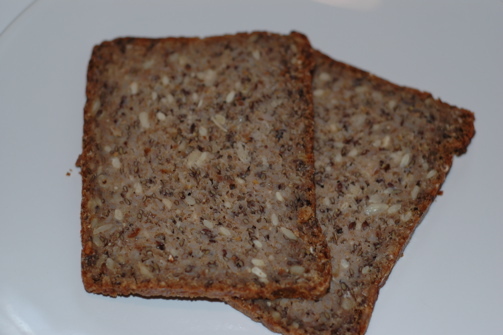 Trader Joe’s recently started carrying the Danish rye, but if you aren’t close to a TJ then those small pumpernickel cocktail squares will do. Ikea also sells an excellent mix that just needs water and it's ready to bake. Also try serving with hard-boiled eggs and additional chopped sweet onions and capers. (Kinda an aside: I took this dish to a Superbowl party once, and instead of eating it with the rye bread, the guys were eating it with tortilla chips. To hubby this was equivalent to eating salsa with a croissant).